Students were sneaking food from school lunch. The principal told Rob it was so they could eat at home. After hearing this, he co-founded The Sheridan Story. 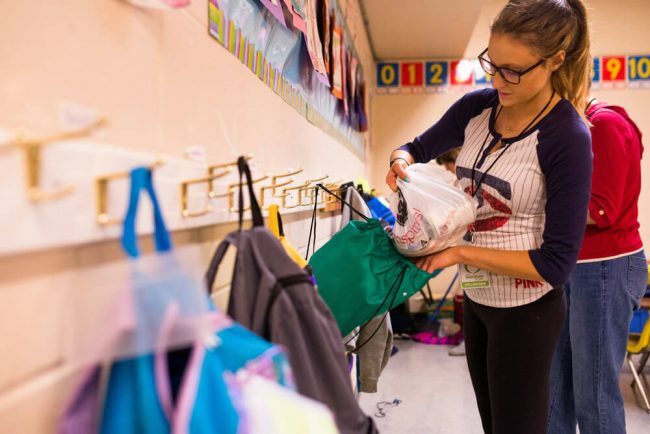 Over 200,000 Minnesota school children live in food insecurity. 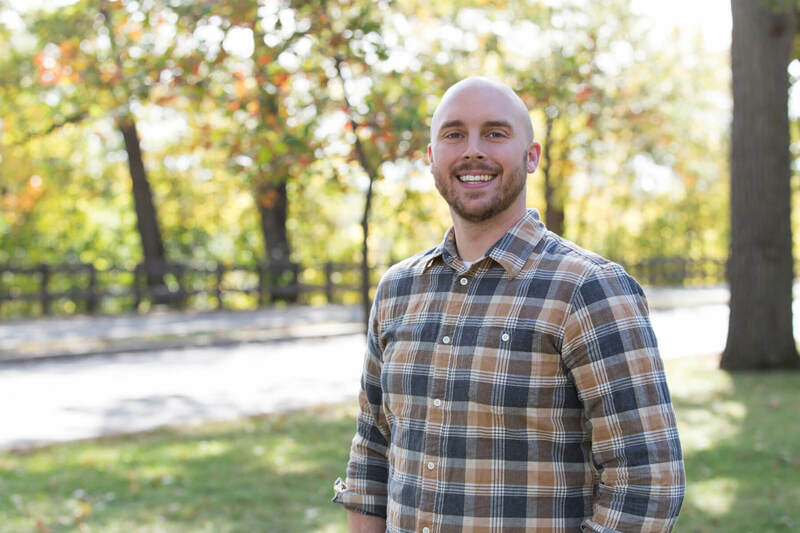 Rob’s background in logistics helps him partner organizations with schools to ensure that no kid goes hungry. From the initial 27 students, they now serve over 5,400 students in 144 schools. What were you doing when you started The Sheridan Story? Were you looking to start a nonprofit? I helped start The Sheridan Story in 2010 as a volunteer led project of Mill City Church and Woodridge Church. We were serving one school, Sheridan Elementary in Northeast Minneapolis. At the time, I was working for a Fortune 500 International Logistics company. We helped other Fortune 500 companies with their international supply chain. I continued to help lead The Sheridan Story as a volunteer until May of 2013. That’s when I founded the non-profit organization. I had no plans to start a non-profit. Instead, The Sheridan Story was born out of a need – a gap in support for the kids in our community. What inspired you personally to start the The Sheridan Story? How do you hear that question and not want to help? How do you have an idea for a way to help but not put it in motion? We started with 27 kids in Kindergarten at Sheridan Elementary in 2010. We gave them a bag of food at the end of each school week to take home for the weekend. A few years later we were able to offer the program to every child in the school. Yet, there are some 200,000 children in Minnesota living in food insecurity. They don’t always know where their next meal is coming from. These kids don’t all attend Sheridan Elementary. So, what about the others? Michael Binder (co-founder, Lead Pastor at Mill City Church) and I had dinner one day at Uncle Franky’s on Broadway in northeast Minneapolis. 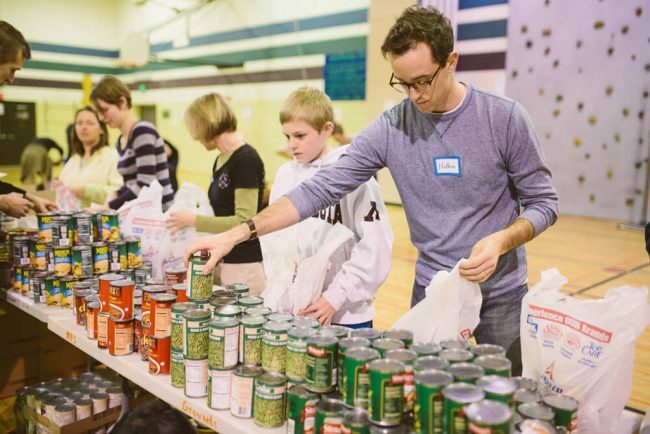 We came up with an idea – find other organizations in the community to do this weekend food program at other schools. We’ll coordinate the effort, including all logistics. They will help with funding, volunteers, and running the program at their school. Problem was, neither of us had time to make this happen. After that conversation, and another with my wife, it was decided. I left my job at the logistics company to start The Sheridan Story. What has been your biggest personal challenge in growing The Sheridan Story over the last two years? My background is in logistics, not non-profit management. I have had to learn a lot through doing, reading, taking classes, talking to mentors, and more. Lots of mistakes led to lots of knowledge (and less mistakes). Running The Sheridan Story has also been a whole lot of work. I wouldn’t say I have been the healthiest person the last few years. Between having two little kids (3.5 years and 9 months) and starting and running a non-profit, there’s not much time for rest. I’ve had to learn (and continue to learn) to delegate to, empower, and trust the staff at The Sheridan Story. It can’t be a one-person show. We are better together. Where have you turned to find help and assistance in overcoming that challenge? I’ve learned to seek advice and support from trusted individuals. Every leader needs other trusted leaders. They need others to speak truth, challenge, and hold them accountable while also being a place of solace, empathy, and assurance. A good mentor both supports and challenges at the same time. There are two key things I have found in my experience. Your current network doesn’t necessarily have the mentor/s you need. And you need to ask the person to be a mentor. You can’t just hope they become one. I found that I had some great mentors among the people I already knew, but that won’t always be the case. I also found some great mentors outside of my immediate network. In some ways, those outside of my immediate network are able to provide a more objective view. Similarly, they allowed me to separate some of my personal life and work life. Identify someone you think you may want as a mentor. Have a few conversations over coffee to get a feel for the fit. It’s a good fit if they have the wisdom, knowledge, and experience you need in a mentor. Then you should outright ask them if they would consider meeting with you regularly in a mentor-type relationship. Create some basic expectations (confidentiality, frequency of in-person meetings, ability to contact between meetings, etc.). This way both of you are on the same page. Tell me about a challenge you’re faced with right now. Why is it a challenge, and how are you working through it? The challenges I’ve faced over the last few years continue now, and likely will for a long time. How can I be a better husband and father and boss? All concurrently. How can I continue to grow the impact The Sheridan Story has in the community, while having a healthy balance with my family and friends? How can I support my staff so they don’t burn out? How can I get the support I need so I don’t burn out? I don’t think there are any quick answers to any of the above. It’s a continuous process of listening to the input of those that I trust (and ignoring the input of those I do not trust). An unhealthy leader, physically and emotionally, is less effective than a healthy one. Perhaps worse – an unhealthy leader is a poor model for those they lead. How do you manage your relationships with other organizations you collaborate with? Non-profit organizations generally have a shared goal. Involve the community to improve the community. There are seemingly un-ending ways to work towards this goal, but they are all important. The Sheridan Story cannot work independently. Our whole structure is built off of community collaboration. We all care about the people in our community and there are many ways we can work together. There is a term that has been around for a little bit: Collective Impact. The idea is that social problems are often deep and entrenched in society. In order to make an impact, it requires collaboration across all sectors of society (non-profit, business, government, etc.). The Sheridan Story is just starting to explore this model in connection with other hunger organizations in Minnesota. How has running The Sheridan Story changed you? When I got married, I learned a lot about myself. I had never had to share so much of my life (all of it) with another person before. My wife found some dark corners and revealed them, as I did for her. Bad attitudes, inaccurate perspectives and assumptions, selfishness, etc. Starting and running The Sheridan Story had a similar effect. I have some great people as mentors and on the team at The Sheridan Story who I encourage to call me out when needed. With their help, I’ve learned how selfish I can be in a work setting. I’ve learned how negative I can be when I’m tired. I’ve learned that I tend to steamroll some of my ideas to the detriment of my team and ultimately to the detriment to the organization and our mission. All of these issues are revealed, but none are resolved. It’s a process of open feedback, learning and growing.